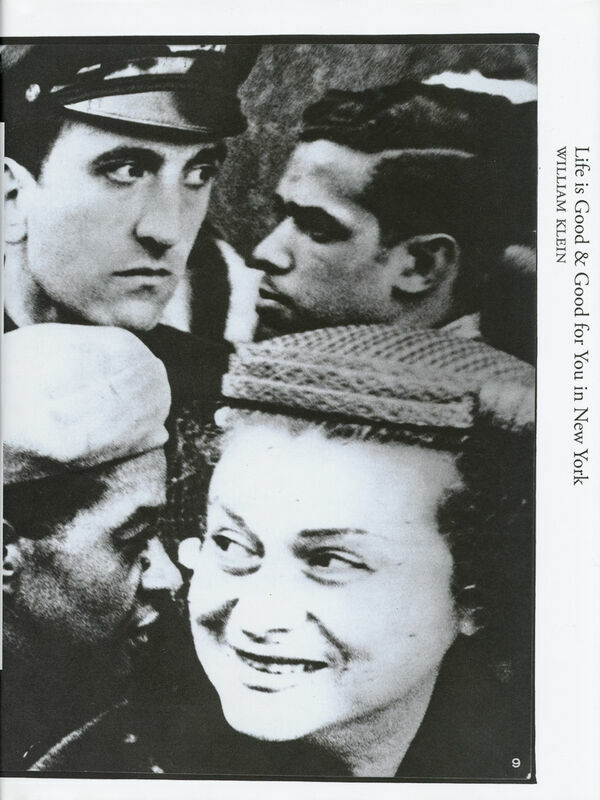 160 Seiten, 18,5 x 25 cm , 732 g.
William Klein: Life is Good & Good for You in New York Trance Witness Revels is regarded as one of the most influential and groundbreaking photo books created in the last half century. 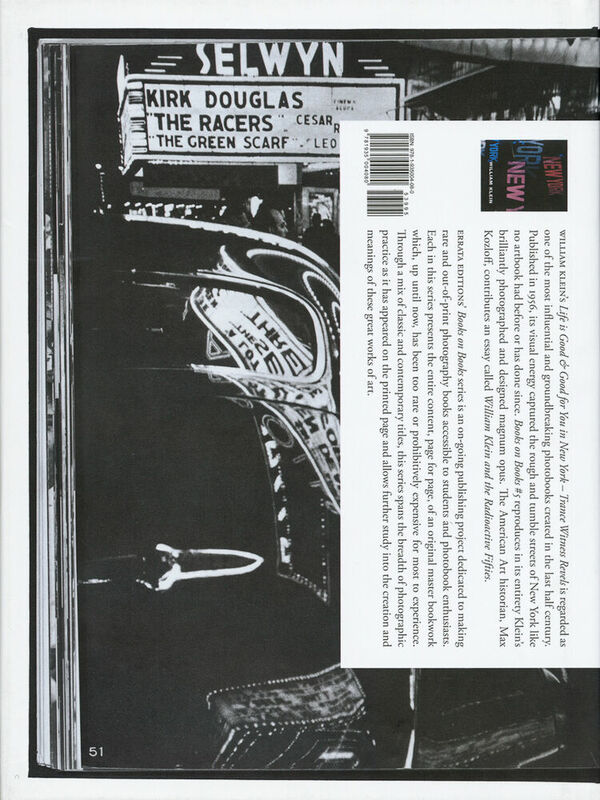 Published in 1956, its visual energy captured the rough and tumble streets of New York like no artbook had before or has done since. Books on Books 5 reproduces in its entirety Klein’s brilliantly photographed and designed magnum opus. 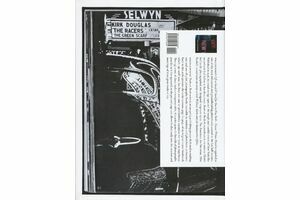 The American Art historian, Max Kozloff, contributes an essay called William Klein and the Radioactive Fifties.